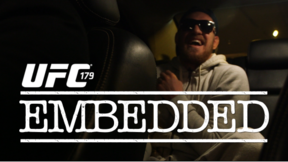 On episode #4 of UFC 179 Embedded, featherweight sensation Conor McGregor enjoys the sights, sounds and people on a Brazilian beachfront. 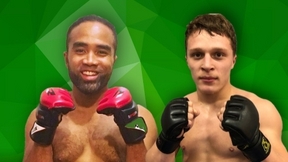 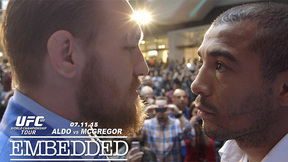 Champion Jose Aldo and challenger Chad Mendes cross paths repeatedly in the hotel and at media events, before finally facing off at weigh-ins. 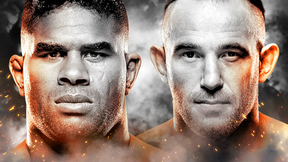 Light heavyweight star Glover Teixeira stays relaxed in his home country as his opponent Phil Davis counts down the days and hours until their co-main event clash. 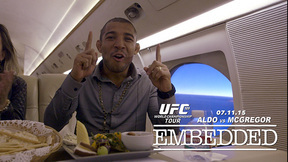 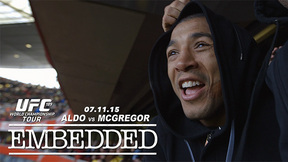 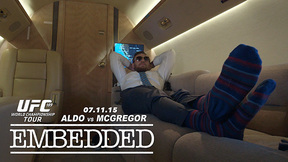 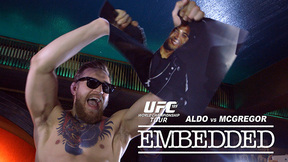 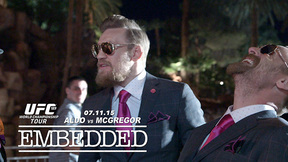 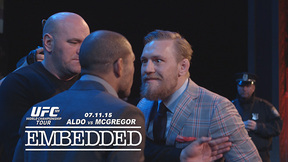 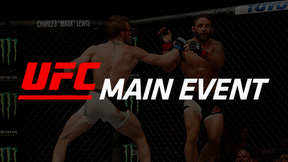 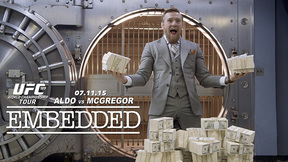 UFC Embedded is an all-access, behind-the-scenes video blog series focusing on the days leading up to the epic UFC 179: Aldo vs. Mendes 2 fight card, taking place Saturday, October 25, on Pay-Per-View.